Lorrie Hollander used to be a rich girl, but now she's lost everything because of the secrets and lies of the people around her. It's been 12 years since Lorrie's mother skipped town and left Lorrie in the care of her unstable aunt Gigi. Together they live in a neglected, decrepit mansion called Edgewater, the eyesore in a town of extraordinary wealth and privilege. When Charlie, the son of an esteemed senator, takes an interest in Lorrie, her shame for her family and lifestyle runs deep. But what she doesn't know is that Charlie's family is hiding something, too, and that their secrets are inextricably tied. Now Lorrie must confront the truth about her family—and everything she ever thought she knew about herself. Edgewater honestly made me deeply sad. I couldn't relate personally to the incredible wealth and privileged lifestyle that Lorrie led but I definitely could relate to her loss, deep loneliness, and feelings of responsibility to care for others. She was forced into being the grownup in a bizarre situation. She and her sister Susannah were young and should have been cared for by the adults in their lives but instead, Lorrie was made to feel responsible. The story is filled with hidden motives and secrets that caused more and more pain. Some characters ran away, some went a little batty in their anxiety and fear, and some were oblivious. This story made me cry, it made me feel vulnerable. It was gritty and real. Courtney Sheinmel is a recovering attorney, chocolate-lover, mac & cheese expert, and the author of over a dozen books for kids and teens. Born in California, she always loved reading and writing; but after graduating with honors from Barnard College (part of Columbia University), she attended Fordham School of Law, and spent several years as a law firm associate. On the weekends, Courtney worked on what became her first middle grade novel, My So-Called Family (2008), which was praised for its heartfelt and insightful portrayal of what makes a family. Upon its publication, Courtney left the practice of law and began writing full time. The protagonist of her second novel, Positively (2009), was a teenager living with HIV, inspired by Courtney's own longtime involvement with the Elizabeth Glaser Pediatric AIDS Foundation. 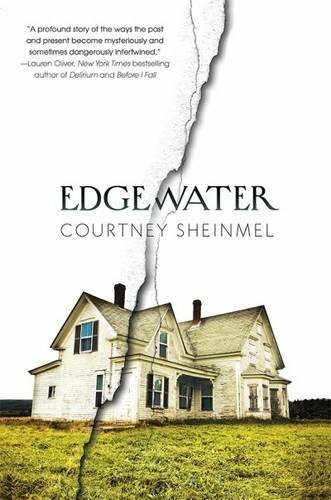 Courtney continued to delve into unique and sometimes difficult family situations in books like All the Things You Are (2011) and Edgewater (2015). She is also the author of the young readers series Stella Batts, the middle grade series The Kindness Club, and co-author of the emerging reader series Agnes & Clarabelle. In addition to writing, Courtney served as a judge on the national level for the Scholastic Art & Writing Awards, and she received a National Scholastic Outstanding Educator Award for her work as a writing instructor at Writopia Lab, a non-profit organization serving kids ages 8-18. Courtney lives in New York City.